Our brain is amazingly adept in standing up to the ravages of time. Many – especially young – people think growing old brings along only distress and misery. But ageing isn’t synonymous with general decline. Our brain is very good at keeping its wit. It has long been thought the brain’s functioning is only deteriorating while ageing. Brain cells would go under by the hundreds and this would result in a continuous decline of our cognitive abilities. But we now know this is not true. Thanks to brain scanning, it has been shown our brain continues to produce new neurons even into our seventies. US Post Office 1969 stamp honouring Grandma Moses who started painting late in life. Of course when something is wrong, when some kind of pathological process is going on, cognitive problems do arise which in the end may lead to a dehumanising dementia. Neurodegeneration with its dire consequences only occurs in abnormal ageing though due to some underlying disease process. In practice, this worst-case scenario frequently doesn’t become a reality. Many older adults show a great range of physical, social, and mental ability. A great number of people remain intellectually intact and some even make outstanding contributions late in life. Famous painter Grandma Moses for instance started painting when she was 76 years old. During the fifties, when she already was in her nineties, her exhibitions drew large crowds worldwide. Pianist Arthur Rubinstein gave one of his best concerts in New York when he had already turned 89. Writer Harry Bernstein published his debut novel at age 96. The American astronaut John Glenn at 77 years of age became the oldest person ever in space on board of the Space Shuttle Discovery. These famous people aren’t the only ones that lead an interesting and pleasant life at advanced age. We all know people in our vicinity that may be old in years, but not in how they live and how they behave themselves. They are vivacious people, wise and sharp, full of wit and of whom you think: that’s the way I would like to grow old. On the other hand, everybody also knows elderly in their surroundings who suffer dementia and from whom their spirit is slowly slipping away. What is happening in our brain during the ageing process what makes these differences arise? The human brain goes through quite a number of changes before a child is born. At the moment of birth, the brain structure is more or less ready, but for many years work is still going on filling in details. During all of our lives, new connections are made between brain cells while other connections are broken. This process is influenced by what we do and how and where we live. So, although all brains have the same general features, neural connections are distinctive. This makes every brain unique, formed by individual experiences. What happens to the brain past the reproductive age is still open to discussion. It was thought that the death of cells caused significant brain atrophy. The folds of the cortex seemed to be flattening and the cortex itself appeared to become thinner. Research even seemed to reveal these changes were more intense in men than in women. New imaging techniques available nowadays have made it possible to investigate the brain in very fine detail. These new investigations brought out other results. Earlier study results may also have become clouded due to the participation of older adults without symptoms of dementia and thus without the diagnosis, but with initial dementia processes going on in their brains. Now, when elderly people are being asked to participate in a research project, first their brains are mapped completely with scanners to see whether some kind of disease process is already going on that would make the results of the research project invalid. According to the latest state of affairs, normal ageing of the brain is not accompanied by the death of large quantities of brain cells. Our brains do not shrink notably. Nor do clear differences exist between the ageing of the male and the female brain. Extensive differences however do exist between the ageing processes in individual brains. In general, while ageing, the brain weight may decrease. This is caused by the fact that in certain parts of the brain somewhat more neurones die. The hippocampus is such an area. This tiny structure in the centre of the brain is vulnerable to long-term stress. 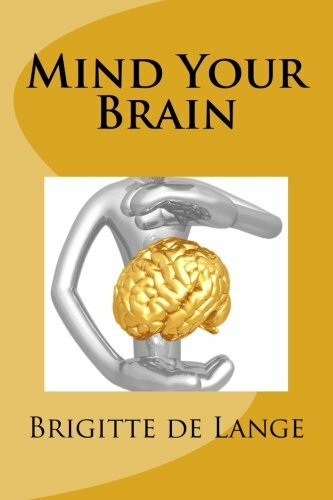 Because the hippocampus plays a very important part in our memory, loss of neurones in that area may be the cause of memory problems at advanced age. In some elderly, movements get slower and less fluent. This might be due to the fact that neurones die in another sensitive brain area, the substantia nigra. This structure is a decisive factor in the development of Parkinson disease, a disease that is accompanied by severe disturbances in locomotion. Where brain areas shrink the open space within the skull is taken over by the ventricle system, four interconnected cavities filled with cerebrospinal fluid. These cavities slowly enlarge with age. Information transfer between neurones could also become a bit more difficult at advanced age. This is caused by the fact that lesser quantities of neurotransmitters are available. These neurotransmitters are necessary to transfer information from one neurone to the next. Besides, in the course of time some plaques, clots of waste from brain metabolism, may appear in the space between brain cells. These plaques hamper a smooth flow of information. The growth of dendrites, the little fingers at one end of neurones necessary for information transfer to the next neurone, increases in humans from their forties through their seventies. This may be a compensation for a possible loss of neurons. People in their nineties don’t show this growth of dendrites anymore. This could be due to a lack of stimulation. A reduced cerebral blood flow is also part of the normal ageing process. Blood vessels become less supple while ageing. This results in less oxygen brought to the brain. A shortage of oxygen may lead to the death of neurones. An interesting development during the ageing process is that both hemispheres lose a little of their specialisation. Over the years, they cooperate more closely. Activities that used to take place in one hemisphere increasingly occupy both hemispheres. It seems this way the brain finds a solution for a less effective single hemisphere. The hemispheres stand stronger together. On the neuronal level, the ageing brain unifies forces as well. Where neurones drop out and die, neighbouring neurones help out to keep networks going. The brain seems to rewire. Responsibilities for a given task can be shifted from one region to another. This is a phenomenon that goes on throughout life. It is called neuroplasticity. 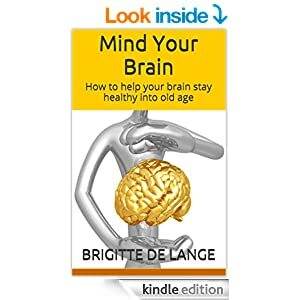 Age-associated alterations in cognitive processes concern mainly speed of learning and problem solving, largely due to deterioration in the ability to maintain concentration during effortful information processing. Speed of performance becomes slower, possibly due to ageing neural networks. Connections get weaker or broken with age. The brain has to work harder and longer to find an alternative neural route. As for memory and learning, with repetition and enough additional practice recall by older people equals that by younger. They don’t forget learned material more rapidly neither. Problems arise due to insufficient time devoted to mastering new facts and not due to an inability. In normal ageing, cognitive changes are relatively benign. The performance at many types of tasks generally declines gradually into old age. But a reduction in certain kinds of mental agility is countered by an increase in knowledge gained in the course of experience. Ageing doesn’t have to be a process of universal decay. Many older adults show merely subtle declines in their cognitive abilities.